As mentioned in a previous post about Walmart Care Plans, I rarely bite on extended warranties or “care plans” on products I buy for my home and family. One exception is computers and tablets. It’s started to get iffy now since so many things I buy are computerized. I never thought I’d even consider buying an extended warranty on a car purchase, but even cars are largely computerized these days. Given that I fix computers as part of my job, I know how many problems computers have. It’s made me look at the decision whether to buy an extended warranty or protection plan in a whole new light. For a few years, Amazon.com has been offering Square Trade protection plans on computers and electronics. 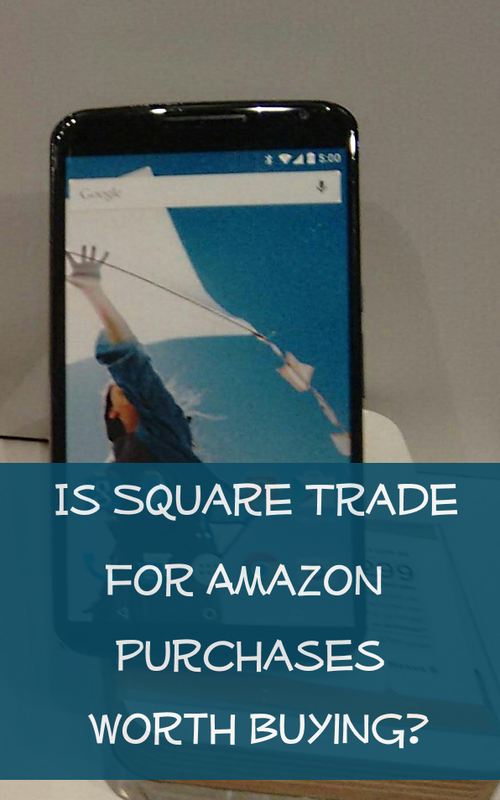 I bought a Square Trade plan for a Kindle Fire tablet, and here’s what happened. My older daughter was just shy of 8 years old a few years ago when she receive her first tablet as a present. It was a first-generation Amazon Kindle Fire, and she was thrilled. She was an early and avid reader, and the Kindle Fire offered not only Kindle books but also Android apps. Kindle Fire tablets are now available for well under $100 (sometimes under $50, even), but this one cost around $200. Given my daughter’s age, I was afraid she drop or otherwise damage the device. The Square Trade plan on this Kindle Fire cost $39.99, and I decided to spring for it. The service seemed to get good reviews from other Amazon customers. Was Square Trade Worth It? I ended up feeling very relived that I’d purchased the SquareTrade plan. My daughter actually took very good care of her Kindle Fire tablet and still has it. She uses it for reading Kindle books, though she now has a smartphone and another Android tablet. The problems weren’t with her care of the tablet, but with the device itself. The first round of Kindle Fire tablets apparently had battery problems. I had to get a replacement device at least three or four times because the battery stopped charging. I think maybe one of the times, the Kindle Fire was still under warranty with Amazon, but I’m not sure. A lot of warranties (including extended warranties and care plans) don’t cover a battery replacement. I did receive a refurbished tablet each time, rather than a new one, which is common with warranties like this. The last time I used Square Trade for my daughter’s Kindle Fire, a simple phone call got the process started. They sent the replacement device and I returned the problem tablet to them. It was inconvenient to keep setting up my daughter’s Kindle Fire over and over again, but at least she still had a functioning device. With a non-charging battery, she’d have owned nothing but a dead brick. Is Square Trade Worth It? In my experience, the Square Trade plan paid for itself the first time my daughter got a replacement device when the Kindle Fire’s battery went bad. Again, this was back when Kindle Fire tablets and Android tablets in general cost a lot more than they do now. I purchased the Square Trade plan in early 2012, and it was a two-year contract. What has been your experience with Square Trade or other extended warranties or care plans? Do you buy them regularly or only on certain devices?